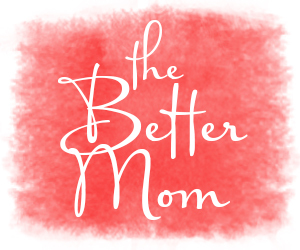 As a mom, I tend to second guess myself ALL the time….Did I let my children watch too much TV today? Was that movie appropriate? Should I be praying more with them? Are they understanding who Jesus is when I explain who He is? Am I doing too much of this or not enough of that?? Oh my…it goes on and on. And so today- I say NO MORE. Today, I chose to take the pressure off and cast all my cares to the foot of the cross. Today I ask Jesus to show me how to be the mom that He’s called me to be..and today….Jesus reassures me that even though I’m not a perfect mom, it’s ok. He calls me to seek Him…He calls me to get on my face before Him….and so I do- and I realize that I can’t do this mom thing with out Him. I just can’t…and I don’t even want to try to do it on my own. To hear more of my heart on this issue watch my video below. Click the link if you can’t see the video. *2nd Corinthians 12:9~10 Each time he said, “My grace is all you need. My power works best in weakness.”…….. For when I am weak, then I am strong. *Philippians 1:6~ And I am certain that God, who began the good work within you, will continue to do his work until it is finally finished on the day when Christ Jesus returns. Jesus, I thank You that you’re not done the work in us that you’ve started. I thank You that it’s not our abilities and strength that we are to rely on, but it’s on your grace we stand and have hope and courage and the confidence that we need to be the best mom that we can be. When we fall, you lift us back up and in the times that we fail and fall and trip and stumble…remind us that it’s in those times that we are learning and growing. In those times that we mess up as mom’s, remind us that you are perfecting us shaping us. Thank you for your forgiveness and mercy. What would we do with out you…We are desperate for you Lord. We invite you in to every single detail of our lives. Have your way. Motherhood is such a gift and when the challenging moments come, you help remind me to turn to Him…. and my kids are teenagers so the “ride” is in full swing and can be bumpy at times….